The Parliamentary Support Group (PSG), a group of Senators and members of the House of Representatives loyal to President Muhammadu Buhari, has distanced itself from Tuesday’s resolution of the National Assembly. Recalled Kwarareporters reports that after a joint closed door session, the National Assembly on Tuesday charged Mr Buhari to take responsibility for actions of his appointees and to desist from being selective in his anti-corruption war, among other resolutions. The Chairman of the National Assembly, Bukola Saraki, who read the resolutions added that the legislature will exercise its constitutional power if Mr Buhari fails to act. However, the resolutions, did not go down well with members of the support group of the Upper Chambers. In a statement issued on Tuesday evening, the group said most people who spoke at the session were members of the People’s Democratic Party (PDP). It also claimed that members of the ruling All Progressives Congress (APC) tactically avoided airing their views. However both chambers of the National Assembly are led by APC lawmakers (Mr Saraki and Speaker Yakubu Dogara). Earlier, another APC lawmaker, Muhammed Kazaure, had also opposed the resolution threatening Mr Buhari. The PSG statement was signed by Abdulmumin Jibrin, a known member of the group. Other members of the group include senators Abdullahi Adamu and Ovie Omo-Agege. 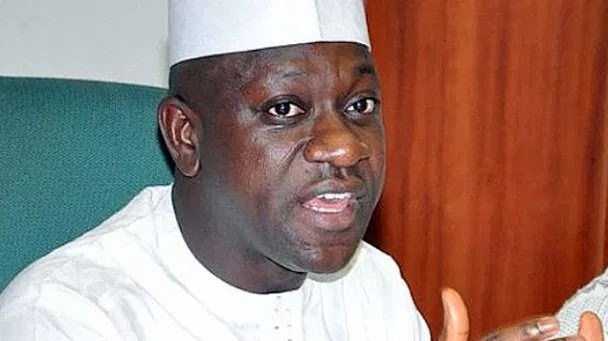 It is however not clear if Mr Jibrin got the permission of all members of the group to release the statement. The group alleged that the questions, submissions and resolutions of the joint session were pre-determined by anti-Buhari lawmakers. That almost all the members and senators that spoke at the Executive session are of the PDP while members of the APC declined joining the discussion to avoid a rowdy confrontation as the entire session could easily pass for a PDP Executive session. That we must exercise caution at this delicate period not to over heat the polity with statements that are capable of dividing the country, embarrassing us before the watching world and creating friction between the legislature, Executive and specifically Mr President. We wish to reaffirm our support to Mr President as he works assiduously towards dealing with the challenges of our country.